Originally posted: September 23, 2017 . Last modified: December 11, 2018 . *Sponsored Post: This post is sponsored by Garnacha/Grenache but the content and opinions expressed here are my own. 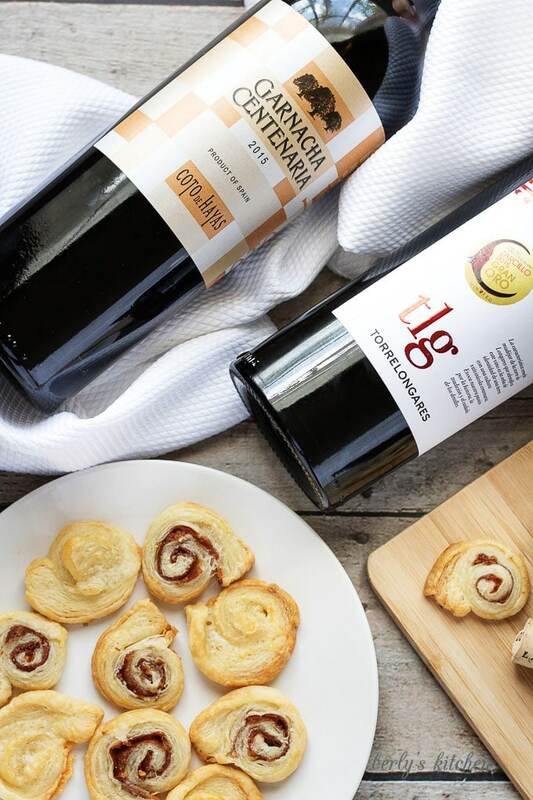 Garnacha and Grenache wines are the perfect pairings to any meal or tapas party. From hearty meats to truffle infused honey, there’s wine for every dish. Wine can be a tricky beverage to work with; especially if you don’t know a lot about the drink. Kim and I had never heard of Garnacha or Grenache wines before and were curious whether or not they would make the perfect pairings for our particular tastes. However, after a few sips and a little research, we are very pleased with these French and Spanish wines. No matter what your tastes or budget, you can enjoy these European quality wines. There are a lot of varieties to choose from including dry reds, fruity white and rose, and even sparkling and dessert types. Also, the grapes adhere to the European Quality Standards, ensuring top quality flavor at a budget minded price. Just looking at the bottles gave us so much inspiration. But the truth was, we just wanted to pop the corks on these wines, so we had to come up with the perfect pairings. Well, one the bottles we received was a red Spanish Grenache. We decided to serve it with a simple prosciutto stuffed pastry. It was a smooth red and wasn’t too dry for our taste buds. It worked well with salty flavors of the cured meat. The second tapa we prepared was a cheesy mix of Fontina, and Parmesan cheeses rolled up in a flaky puffed pastry. When served with either the French or Spanish varieties of Garnacha, they make for the perfect pairings. If you are in the mood for a sweet treat, then I would recommend the Vins Doux Naturels. The flavors of that variety blend nicely with sweet and salty desserts or cheeses. So, no matter what kind of wine you desire, there is sure to be a Garnacha or Grenache variety to fit both your style and your wallet. In closing, you can learn about #GarnachaDay and #GrenacheDay at those links. 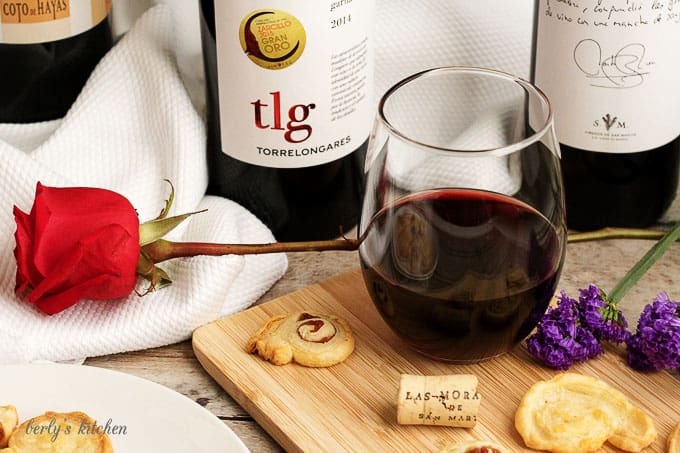 Don’t forget to check out these European Quality wines the next time you go shopping. Garnacha and Grenache wines are the perfect pairings to any meal or tapas party. From hearty meats to truffle infused honey, there's wine for every dish. 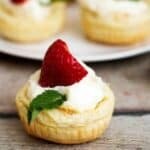 First, remove the puffed pastry dough from your freezer approximately 30 minutes before you begin. Next, preheat your oven to 350 degrees F. and spray a large cookie sheet with non-stick cooking spray or line it with a silicone mat. Then, on a sheet of parchment paper, roll out the dough until it almost doubles in size and has an oval shape. Afterward, sprinkle Fontina and Parmesan cheese onto the pastry sheet. Now, roll the sheet up, like you are making a Swiss or cinnamon roll. Last, starting from one end of the roll, use a paring knife to cut the bites into 1/2 inch slices. Place the slices onto a sheet pan and bake them for 10 to 12 minutes. Once they are cooked, remove them from the oven and let them cool for five to seven minutes before serving. Afterward, layer shaved prosciutto onto the pastry sheet. Now, roll the sheet up, like you are making a Swiss or cinnamon roll. The calories listed are an approximation and vary due to individual food and alcohol consumption. Actual calories vary. The tapas can be stored in a sealed container in your fridge for up to two days. Once the wines have been opened, average keep time is less than three days. I love when wine becomes more than a glass and journeys into pairings. The pinwheels look delicious and the wines sound amazing. I live in Virginia and it’s wine country here. I think a Spanish and French wine sounds exotic. I love the description you shared to help me “taste” the wine as you shared your recipe. Thanks, Julee! 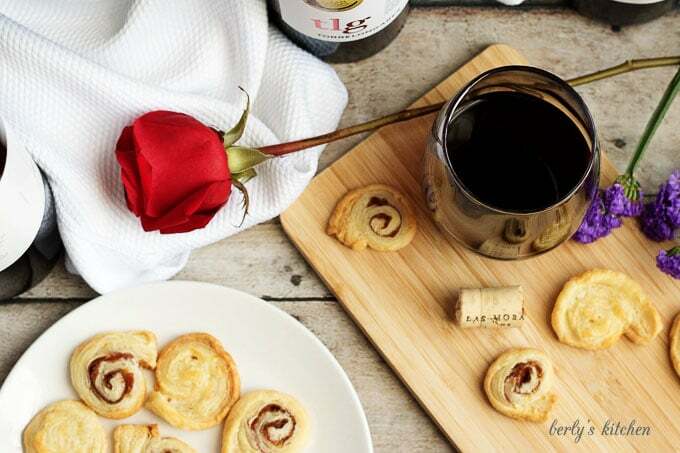 The wine and pinwheels pair so well together. 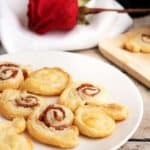 Plus, the pinwheel crackers are super simple to make. We’ve never been to Virginia and had no idea there were a lot of wineries there. Sounds really interesting! We had a chance to try a garnacha on garnacha day and we quite liked it. It seems to pair very well with quite a few foods. We’ll have to try your recipes the next time we open a bottle. We also enjoyed these wines. They were much smoother than I expected and are definitely something I’d drink again. Glad you were able to try them. Thanks for stopping by! Are these wines from Bordeaux, France? This region produces the best fine wines in the world. 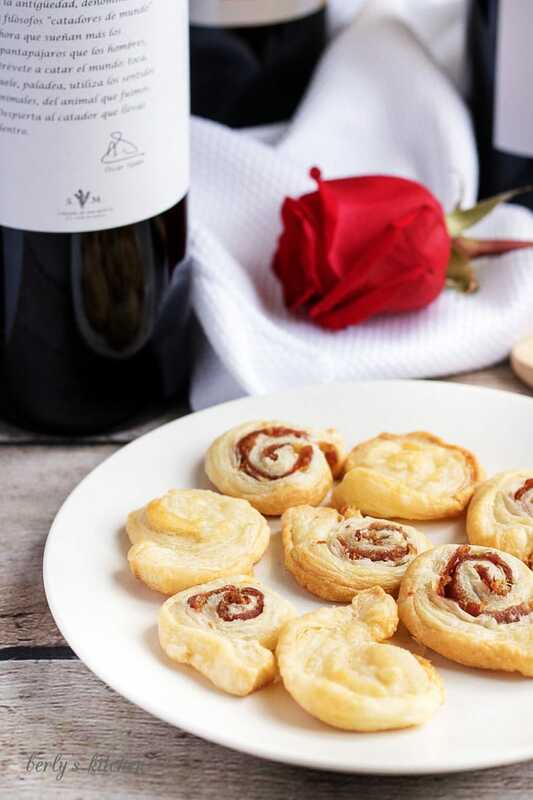 I like the idea of pairing wine with pastries and other light snacks since it’s not required to drink wine with expensive high quality wine every time. Hi, Roch! Some of the wines are from the Roussillon region of France and others are from the Eastern Spain. Both varieties are very good. We agree that these wines pair well with a light snack. Thanks for commenting! I do not know much about wines. I have not had much experience with them. Your recipe pairing looks fabulous, though. I have lots of experience with treats! Haha! Lol! Thanks, Melanie. 🙂 Having experience with treats is very important. I love wine. My favorite is Moscotto. I never had Garnacha or Grenache but the pair sounds so good. I will love to try! Thanks for sharing! You had me at WINE! 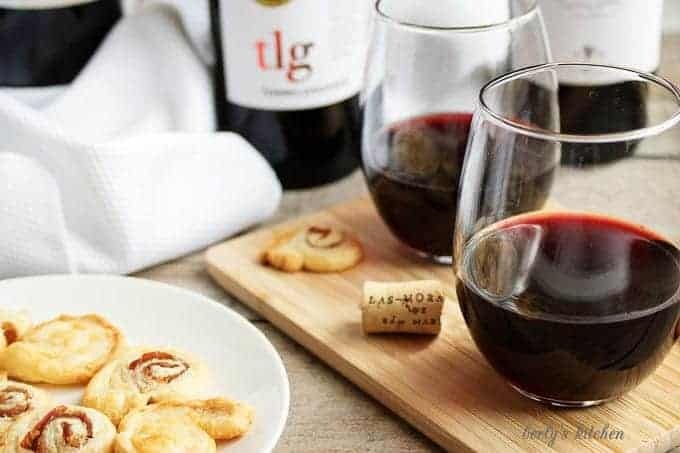 I love a good red wine and when I host people at our house I am always looking for great appetizers to serve with the wine. I am going to keep this for our next gathering. 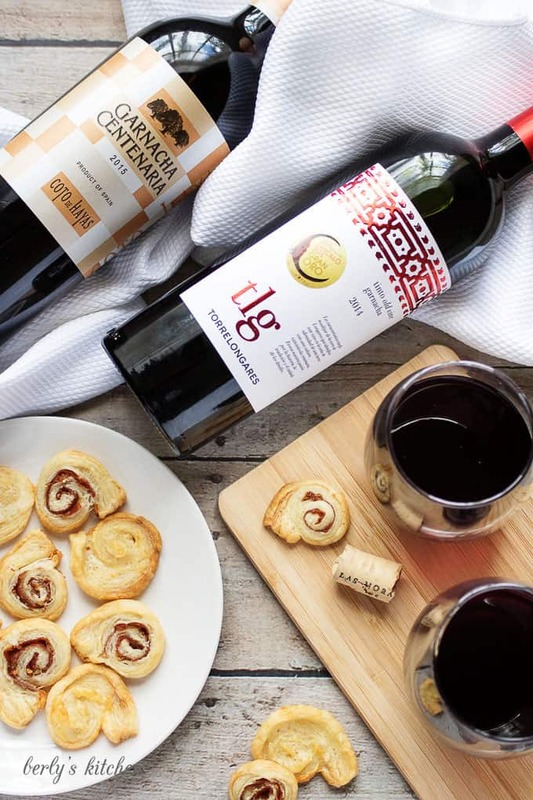 I love hosting little gatherings with yummy treats and wine like this. Hi, Cenise! These crackers are the perfect appetizer to pair with wine. The Parmesan flavor would also work well with a white wine variety. Couldn’t agree more about European wines. They are my favorites! Will be saving the recipe and I will try to make the Garnacha over the weekend. Will invite friends to come over for some chill night out. Hi Anosa! Garnacha wines make the perfect match for these crackers. If you get a chance to make them, we’d love to know what you think. 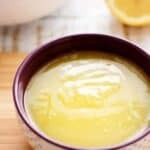 What an absolutely delicious and AMAZING recipe! I love seeing how others choose their wine pairings – this looks great! So perfect for a party or get-together, especially during this time of year. I definitely will be trying this out and adding it to some of my entertaining menus this season! Yum! Thanks, Adriana. Homemade crackers are really easy to make and pair perfectly with this brand of red wine. I had to stay off of red wine for a while because it was giving me a terrible headache. Now I can finally enjoy it! I like smooth red for sure but I love that there’s such a variety. This is great. We are having a dinner party this weekend so this is a really great idea! I totally understand what you mean. My husband has also had an adversion to a certain variety of wine, but this one hasn’t been a problem. Good luck with your party! 🙂 I’m sure it will be a lot of fun. Your recipes sound so delicious and the wine sounds like it pairs perfectly. I love discovering new wines – I’ll have to get a few bottles and make your bites for an upcoming dinner party!